Be different, be daring, be yourself! Yes, girls.... Time to ditch that 'classic' makeup looks, reinvent the rules of beauty and champion the Power of Self Expression, simply Make Up Your Own Rules! 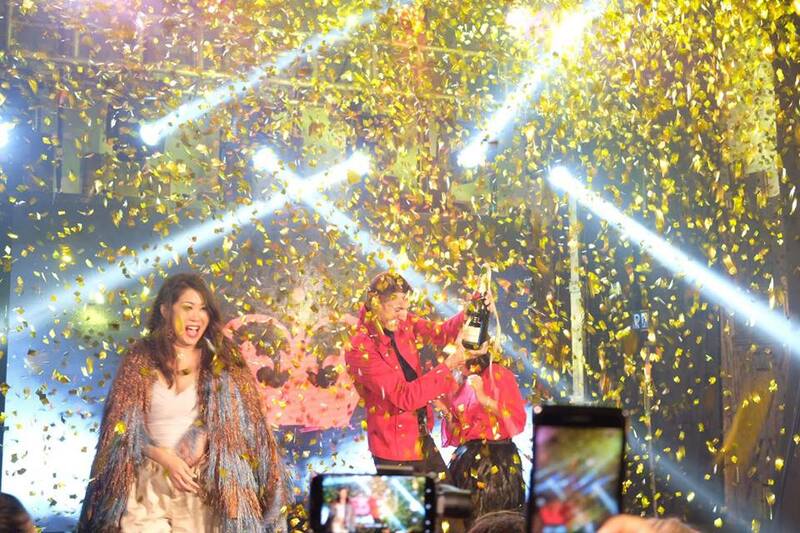 The wait is finally over as Rimmel London, UK's no. 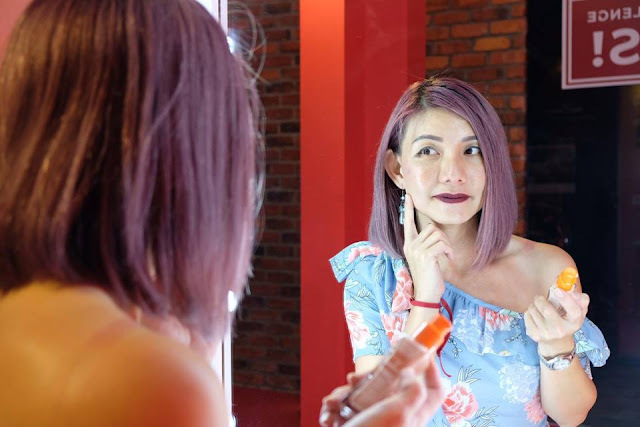 1 cosmetic brand, enters Malaysia. 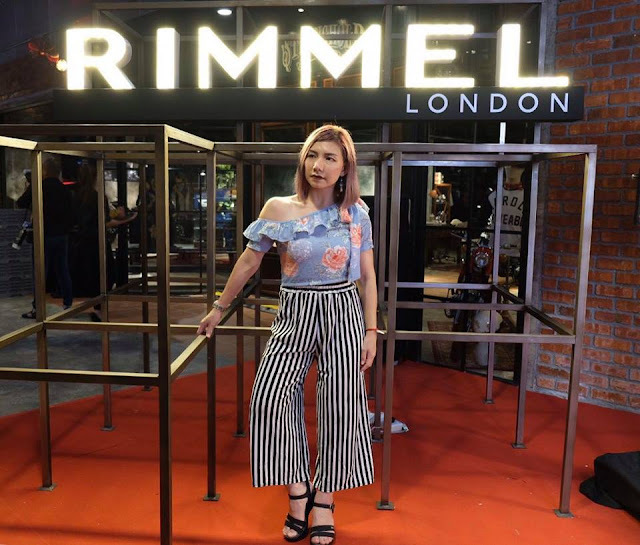 Last week, Rimmel London celebrates entry to market in a swag launch party held at custom motorcycle garage, the Gasket Alley attended by beauty influencers and social media icon. A cutting-edge makeup brand, Rimmel London embodies the quintessential London girl who is authentic, real, bold, confident and expressive. The brand’s tagline of ‘LIVE THE LONDON LOOK’ is equal part nods to London city’s unique vibe filled with cultural richness, a sense of freedom and diversity. It also takes inspiration that beauty is all inclusive, coming in different shades, looks, features and highlights. In a nutshell, the London Look is whatever you want it to be, no matter where you are in the world. 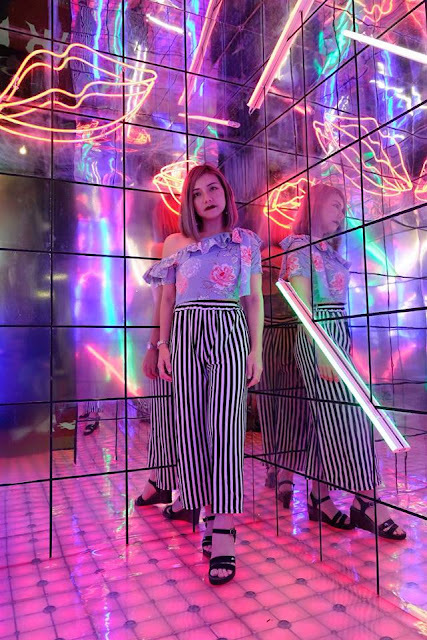 To further highlight and celebrate the edgy London Look vibe, Rimmel introduced a visual signature, the double L frame, to inspire memorable pictures with a bold attitude. Easy to create with the thumb and index finger of each hand, the LL makes the perfect face-framing pose. 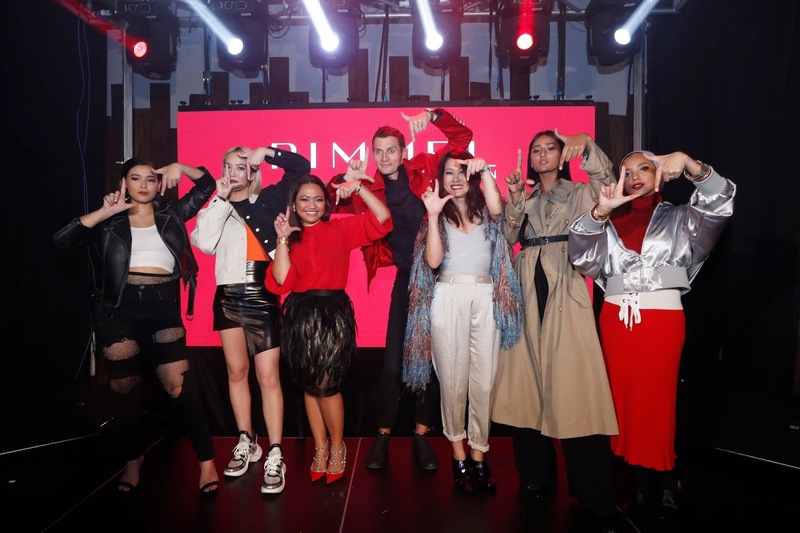 Matching up to the four iconic looks, up and coming KL’s personalities formed a Rimmel Rebel Squad headed by - Chacha Maembong, Ashley Lau, Rubini Sambanthan, Nina Khalil, and supported by makeup artist to the stars, Noriana the Face designer. 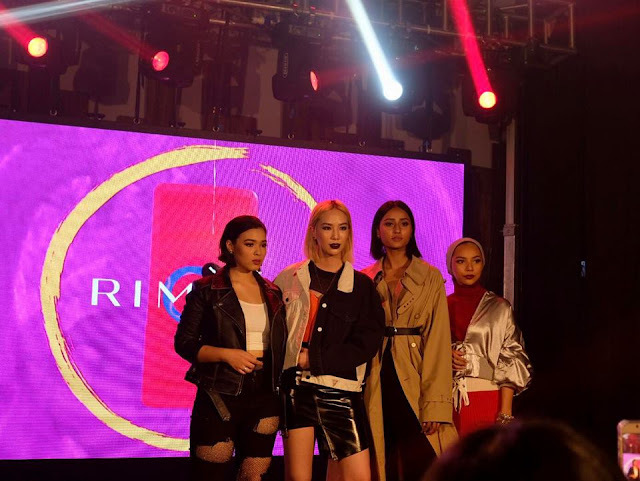 The girls were then enlisted to channel their inner London Attitude and pulled off each of their London Looks to perfection in a style film that debuted during the launch party. Spotlight Grunge, inspired by North London, is a look that is cool yet glamourous and is ready to be in the spotlight anytime! Experimental Hipster, inspired by East London, is a hold-no-bars look that is fun and unique. Fearless Chic, inspired by West London, is a look that is poised yet fearless, ready to take on the world. Edgy Street Glam, inspired by South London, is edgy and fashionable and stands out! During the launch, it was evident Rimmel London pulled out all the stops, bringing alive London City for one night only, with larger than life playsets showcasing each of the iconic four London Looks, a dedicated Makeup Play area and mainstage featuring performances by Ethan Curzon, one half of Iconic millennial DJ Duo BATE and songstress Sachie Amira. COTY South East Asia and Malaysia management team popped bottles of Magnum sized Moët & Chandon champagne and welcome the launch in a confetti shower. Rimmel London’s hero products includes, the new ‘Stay Matte Liquid Lip Colour’ in 15 shades for boldness that stays on and ‘Brow This Way’ range of innovative brow products to #browlikecara. Hurry! Check out Rimmel London’s full range of products at selected Watsons and Guardian stores in Peninsular Malaysia. 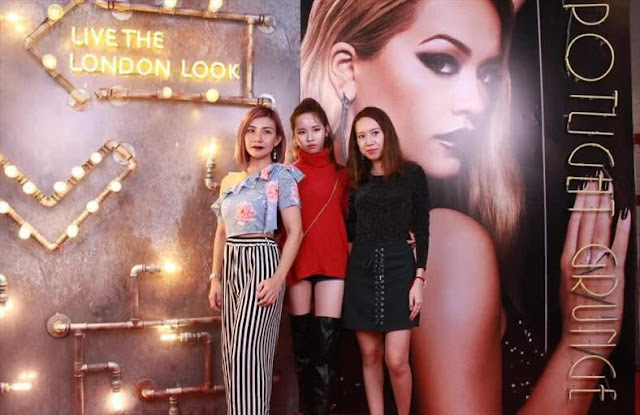 Follow Rimmel London Malaysia’s official Facebook Page or like Rimmel's Instagram at @rimmellondonmy for more information on the products or inspiration for fleek makeup looks.